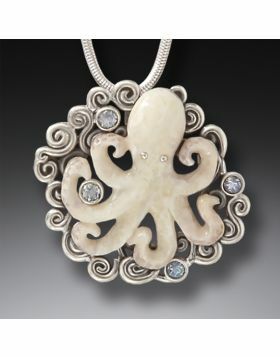 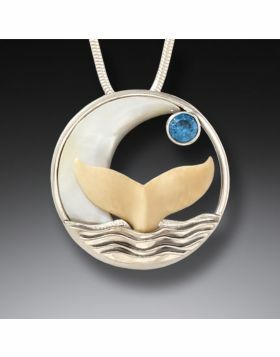 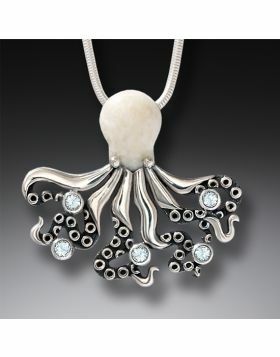 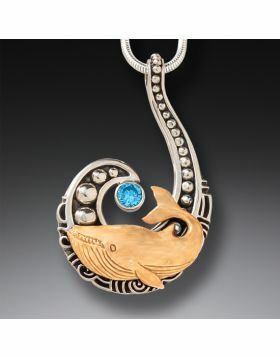 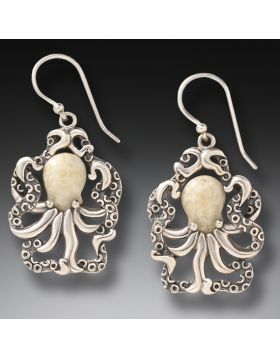 Our Ocean Jewelry Collection features unique jewelry designed around fish, octopus, whales, dolphins, seahorses and more! 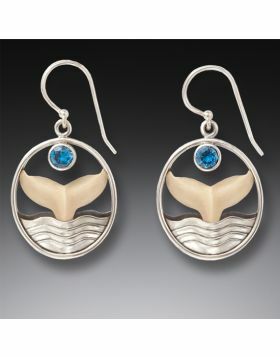 We have jellyfish earrings, sea turtle necklaces, Maori inspired jewelry, a matching angel fish necklace and earring set, starfish and trilobite necklace and earrings, and even a manta ray necklace with a moveable tail. 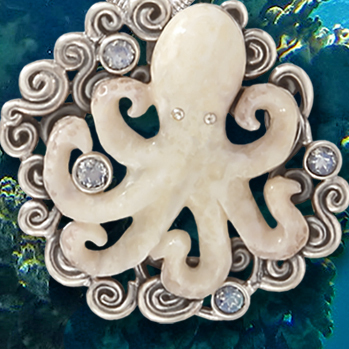 The intrepid explorers of the oceans continue to discover new species in the murky depths; the ocean is filled with beautiful surprises and home to over a million plants and animals. 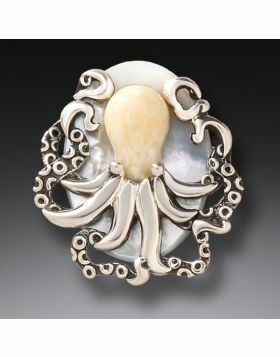 There is a balance in the ocean that is threatened by pollution, seaside development, climate change, and commercial fishing. 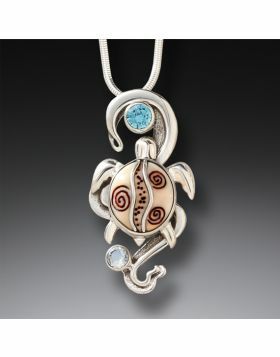 We are passionately aware of these issues and annually donate money to several conservation groups working to protect wildlife and wild areas. 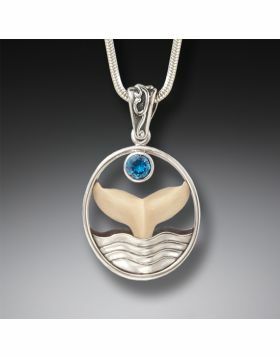 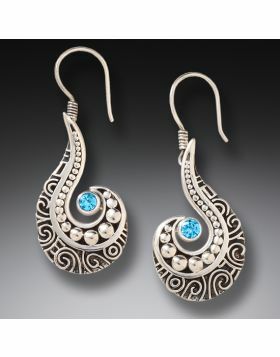 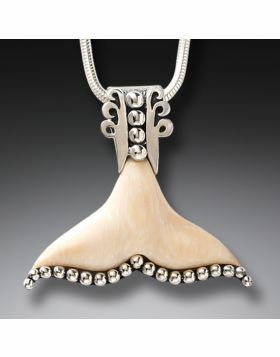 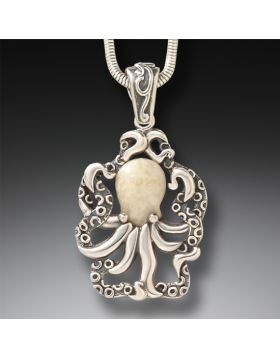 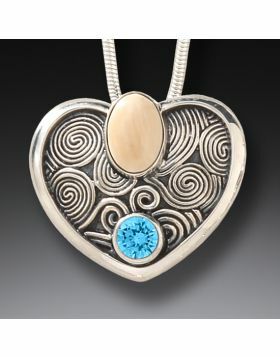 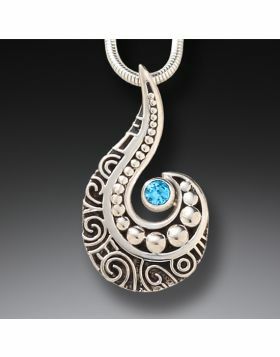 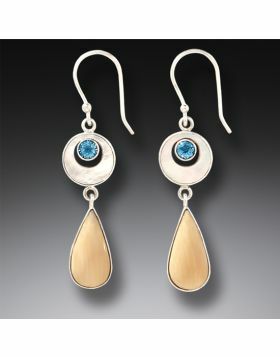 Our diverse ocean jewelry collection is a favorite among collectors and ocean lovers.